my Dad, David Swain. 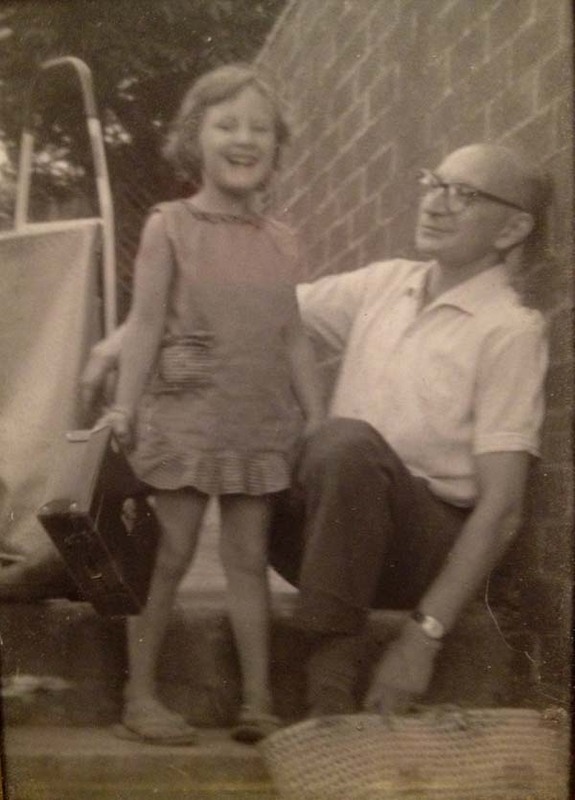 Dad made a life of writing, cartooning and mentoring other creative sparks. my Dad initiated Australia’s first professional writing degree course. He was a natural born mentor, encourager, inspirer. 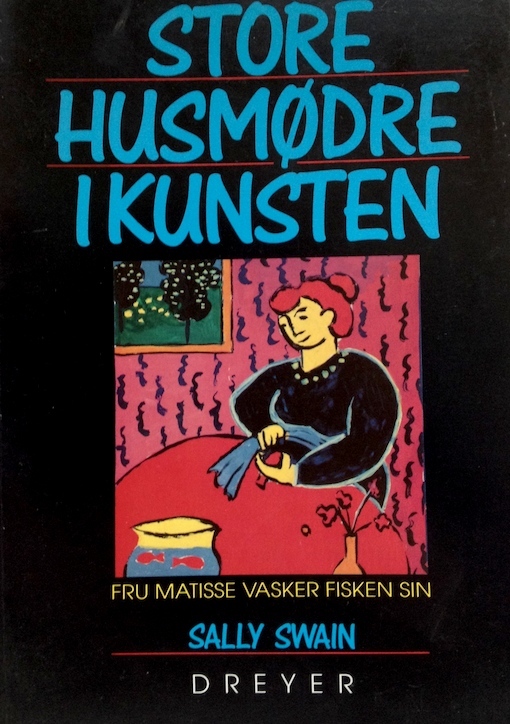 My first book, Great Housewives of Art, came out when I was thirty. 1988. It appeared on international bestseller lists along with Peter Carey’s Oscar and Lucinda and Salman Rushdie’s Satanic Verses. Mrs Degas and friends led me on a not-always-merry dance to Darwin and New York exhibitions, Belgian postcard books, San Francisco T-shirts, Chinese feminist treatises, spin-offs, rip-offs and more. (Grafton, HarperCollins, UK). Other editions followed. Several years after that, I initiated Art and Soul – offering group and individual support for people to creatively blossom. One day, I sat down. I looked at Cantbeworried. I looked at Great Housewives. Both slim volumes – turn them sideways and they disappear. Both books of words and pictures. Both humorous. Both composed of a series of types. I realised. I am my father’s daughter. How could I have not seen the influence he had on me and my art? On the sixth anniversary of my Dad’s death, I miss him. 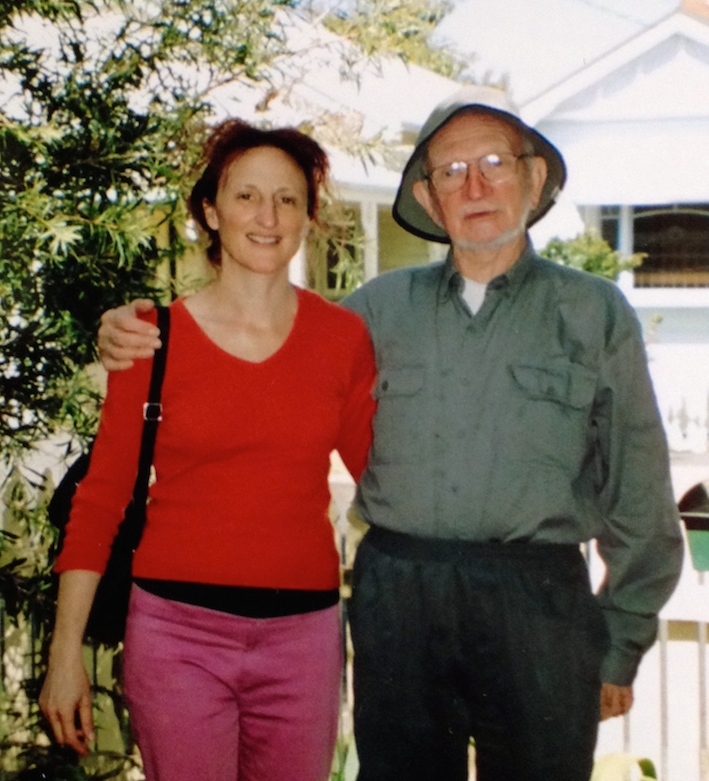 I’m not done with honouring David Swain – my original muse. 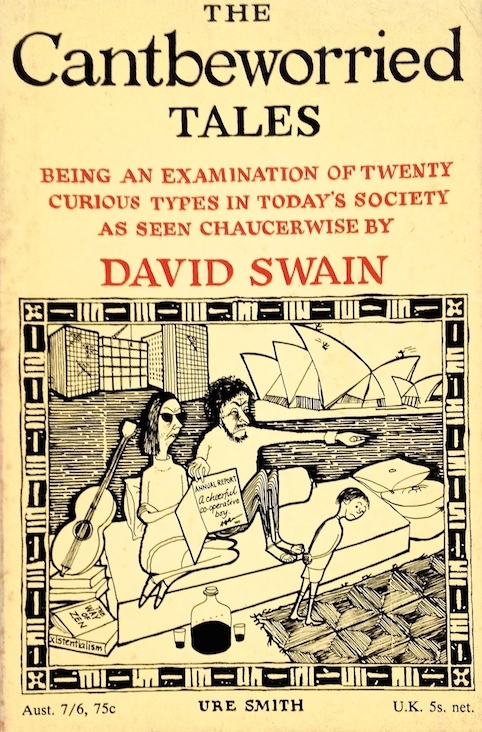 David Swain was also primary muse to his other daughter, my sister Jennie. His abundant creative spark continues to play out through his granddaughter, Ruby. Six years ago, we engaged in the poignantly agonising task of clearing out Mum and Dad’s home. (This deserves several blog posts in itself). Ruby was four. She sat quietly on the floor, with one of Dad’s squillion cartoon books. She chose a Mel Calman cartoon with two figures carrying a ‘Free Women’ sign. She drew her own version. ‘Chip off the old block’, her Grandpa would’ve said. Thank you for reading this slightly modified version of my Musey message from one year ago. I hope – I always hope – to affirm and inspire your creativity. 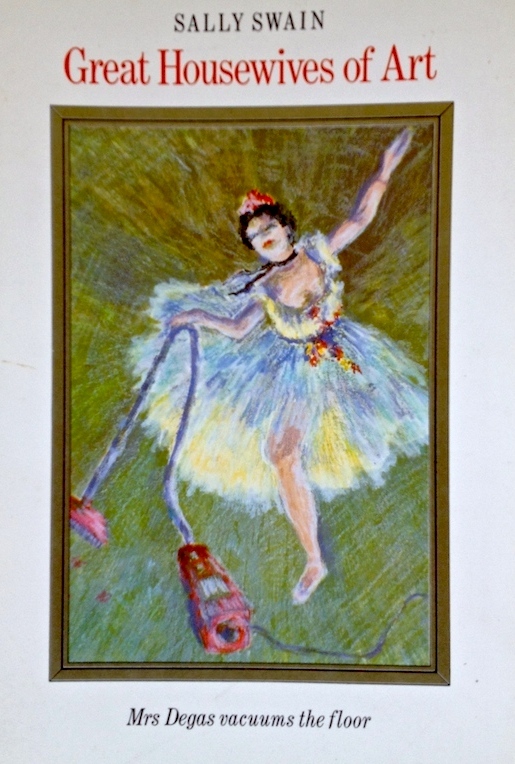 This entry was posted in Art of Grieving, Creative Ageing, Creative Inspiration, Muse and tagged Art and Soul, chip off old block, David Swain, encouragement, Great Housewives of Art, muse, The Cantbeworried Tales by Art and Soul Space. Bookmark the permalink. Wow. Thank you Gallivanta. Must tell Ruby. Thank you, Sheldon. You never know if what you put out there will interest or touch people, so I appreciate your kind response. I really enjoyed reading your post. The picture of you and your dad is one to cherish. You can see the love he had for you in his eyes. Thank you so kindly. You make my heart beam. Dear Sally, I thoroughly enjoyed reading your article. Having very recently lost my own dad, your words struck a chord in my heart. Lovely to see this creative gift passed down in your family. You honour your father’s spirit by igniting that Creative spark in others through your life’s work, your art, mentoring and writing. Love you Sally Swain. Thank you kindly and deeply for your heartwords. I feel a thread of connection between our hearts. Sending you sparks and cells of travelling, light, creative warmth along that thread. Please take kind care of yourself in the wake of your dad’s passing. And thank you so much for your affirmation of the work I do. It came at just the right moment as I venture off to art therapy work today with some vulnerable elderly folk. Hello Sally, It is fun that we are writing about healing and the creative thread through the generations at the same time. I´m very sorry for the loss of your Dad. I lost my step Dad earlier this year so I have some idea of the pain you went through. I love the first photo of you and your Dad. It is obvious that you two were very close. A lot of my professional work is based on black and white photographs of my family and this will feature in an exhibition this autumn. What a full and lovely response to discover here! Thank you. I can empathise with the loss of your step Dad. Am intrigued to see more of your work based on black and white family photos. How wonderful. This sounds like deeply affecting, healing creative work to be engaged in. Wishing you very well for your exhibition. Wow! Your family is so creative!! It is so wonderful to have someone so creative and so close to you throughout your life. My family usually asks “What is it?” Regarding my artwork. Thank you for your help. Its hard going it alone sometime.